Review In A Nutshell: The premise of Every Day was really interesting, and the writing style was great, but unfortunately, the characters weren’t that likable, and it had a bad case of insta-love. Every Day follows A, who takes over the body of a different person every day. They’re never the same person, and always around the same age as they would be. Just to clarify, since A doesn’t technically have a gender, I’m going to use ‘they’ as their pronoun. I really liked how A didn’t have an assigned gender and didn’t particularly prefer one over the other, so therefore I’m going to stick with referring to A as they/them. Anyway, back to the plot, A has always followed the rules when they took over a body. They lived the person’s day how they think the person would have wanted. That all changes when A meets Rhiannon, and falls in love with her. This book is a romance, so there isn’t really much action or adventure to speak of. However, the plot still maintains a fast pace, making this book fly by. While I did enjoy the writing style, it’s a little heavy with the themes, not leaving much for the reader to try to interpret themselves. It’s very obvious while reading that the inherent theme of Every Day is about acceptance, and I do love seeing that theme portrayed as it is, but I wish a little more thinking was required, instead of just being told how to feel about the subject. However, I really do want to emphasize how important the message was and how I appreciated the depiction of gender-fluidity and sexuality. Usually what I love most about a book are its characters and their relationships, but that was actually what bothered me most in Every Day. I wasn’t a big fan of Rhiannon, and I really wasn’t a fan of A. I also didn’t really find myself believing in, or rooting for their relationship. Let me explain. Rhiannon felt very cliche, the sad but lovable girl that the main guy understands in a way no one else ever could. I didn’t really understand why A would just fall head-over-heels in love with her after just one day. And it really was just one day they spent together before A decided she was the only girl for them. It was a clear case of insta-love, so if you don’t like that, you may have a problem with their relationship (which is what this whole book is really about). Then there’s A themself. A seemed like a decent person, always following their rules and trying to be good to the people they possess, but the second they fall in love, all the rules are forgotten, and with them, the people A is taking over. While A does develop a little as a character, it wasn’t enough for me to redeem their actions in the beginning and middle of the book. 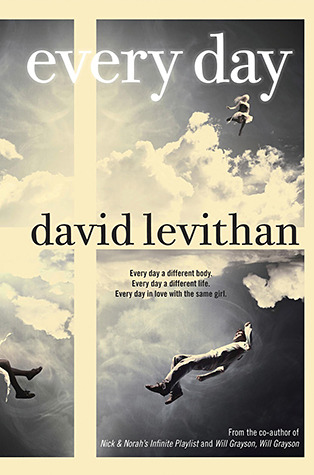 Every Day was a decent book, and I’m glad I read it, but I wouldn’t recommend it to everyone.